Kick off your search at Woody's! Where you can test drive nearly every make and model in one place! Sometimes buying used just makes more sense. Find great deals right here. Our customers always say it best. Finance solutions for any credit situation. Get a quick appraisal in no time. Woody’s puts you in the driver’s seat. Our prices are among the lowest prices in the nation. FREE Smart Certified Warranties on Most Chrysler, Dodge, Jeep, Ram Products. Flying in to pick up your vehicle? We provide a courtesy airport shuttle or rental car. 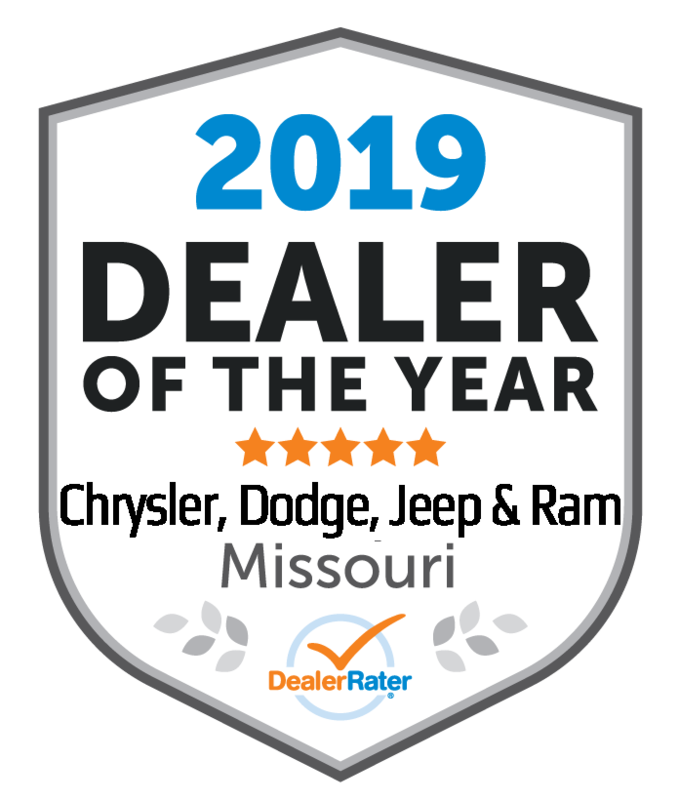 Welcome to Woody’s Automotive Group near Kansas City, Chrysler, Dodge, RAM, Jeep dealership offers new and used cars for sale, including a full lineup of elegant Chrysler 300, 200 and Town & Country models. Tough RAM 1500, 2500 and 3500 trucks are in stock, as well as Jeep Grand Cherokee, Wrangler, Liberty, Compass and Wrangler Unlimited made by Jeep. Dealer inventory at Woodys also includes Dodge Avenger, Challenger, Charger, Durango, Journey and Grand Caravan by Dodge. With so much to choose from you are sure to find the perfect vehicle to fit your budget and your lifestyle. Stop by our car dealer showroom near K.C. 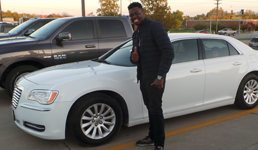 MO and test drive a new Chrysler, Dodge, Jeep, RAM or Chrysler. 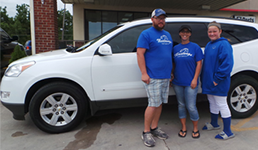 Kansas City, Chillicothe and Columbia MO residents will enjoy browsing our dealership inventory, and using our build a vehicle feature online. If you have any questions about any cars or trucks for sale please Contact Us. 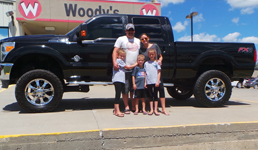 Woody’s Automotive Group has a huge selection of used cars in the Kansas City area. 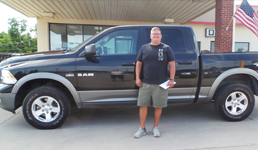 Vehicle inventory includes used Chrysler, used Dodge, used Jeep, used Ram, used Chevrolet, used Ford. Of course, our pre-owned certified inventory includes plenty of used cars, trucks and certified Chrysler, Jeep, RAM and Dodge. These certified trucks and used cars are backed by factory warranty and have low mileage. We offer a variety of used specials including many used cars under $12,000. 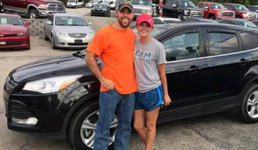 If you are searching for reliable used cars near Kansas City, visit our 10 acre used car lot. Our Auto Dealership Service Center is equipped with state-of-the-art diagnostic equipment and staffed by expert technicians. Bring your RAM, Dodge, Jeep or Chrysler to us when it is time for oil changes, brake inspection, battery checks, wheel alignment, warranty maintenance or more extensive auto service and repair work. We use genuine Chrysler, Jeep, RAM and Dodge parts and accessories to keep your vehicle running as it should. If you are looking for a specific part you can order parts online quickly and easily. Woody’s Automotive financing department is here to help with all aspects of new car and truck sales and leasing. New car sales as well as used car financing can be easily arranged by our Chrysler, Dodge, RAM, Jeep dealer finance experts. Make sure to take a look at our new inventory specials, incentive offers and lease deals for extra savings. The Woody’s Automotive dealership is conveniently located at 310 S. Washington St. Chillicothe, MO 64601. We are proud to serve the people of Missouri including the communities of: Kansas City, Columbia, Trenton, Kirksville, Liberty, Jefferson City, Independence, Cameron, St. Louis, Lees Summit, St. Joseph and Gallatin. We also serve our neighbors in Overland Park, Kansas, Omaha, Nebraska and surrounding communities. Read our blog for the latest automotive news.